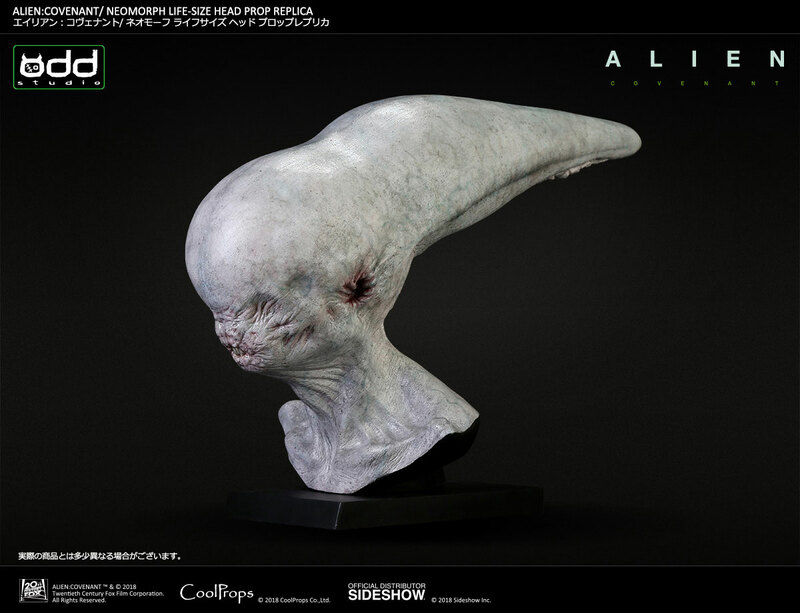 Sideshow and CoolProps’s upcoming life sized Neomorph head replica is now available for pre-order. 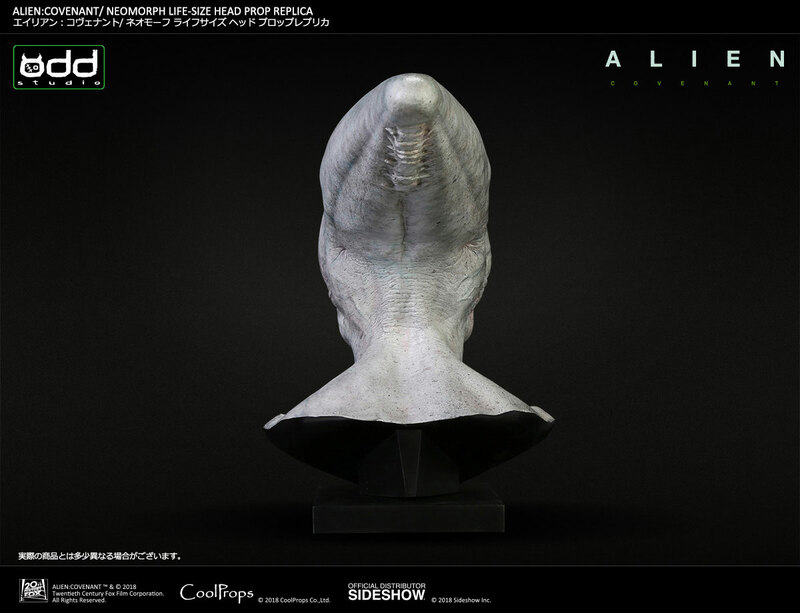 Made in conjunction with Odd Studio, who worked on the practical Neomorph suit for Alien: Covenant, the replica is due for release somewhere around February and April next year. 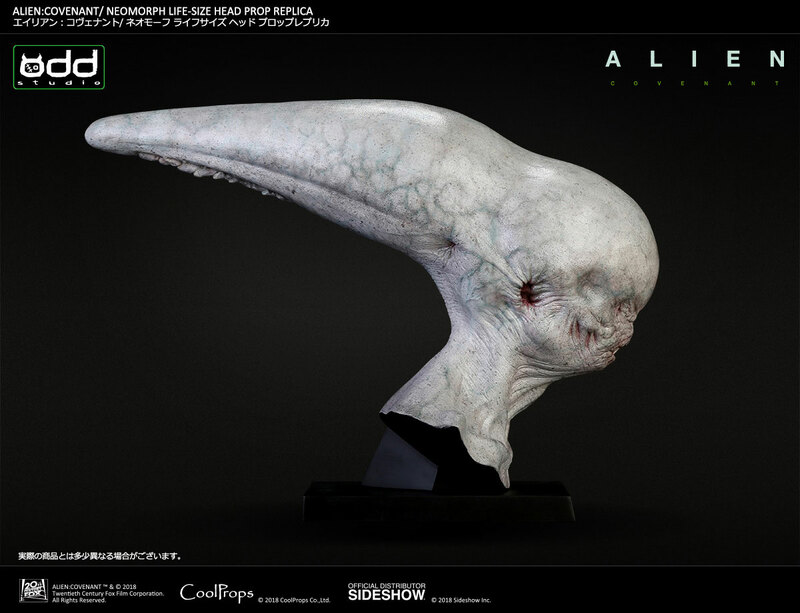 Sideshow and CoolProps are pleased to present the Neomorph Life-Size Head Prop Replica. The Neomorph appeared in the dark in Alien: Covenant,and attacked the covenant crew continuously with its quick movement. 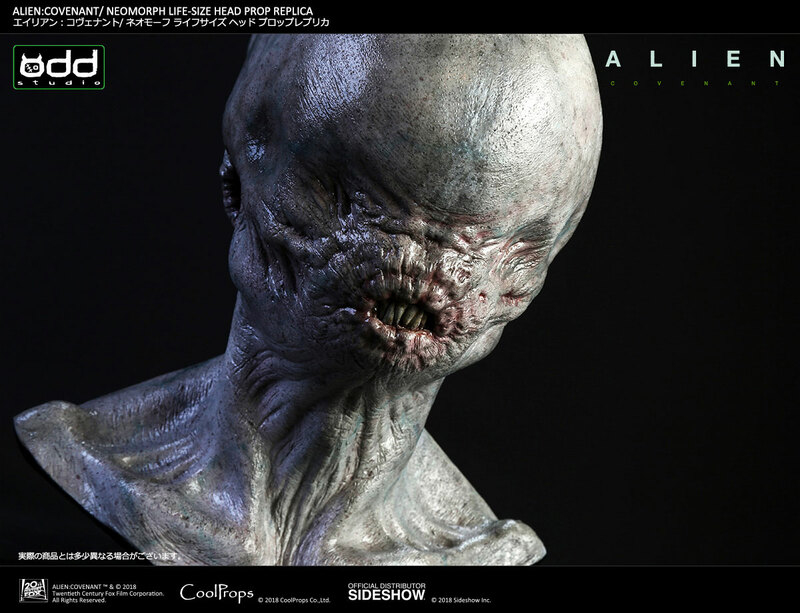 Though this alien has a creepy emotionless face, at its confrontation with David, it almost looked as if the Neomorph showed human expression. 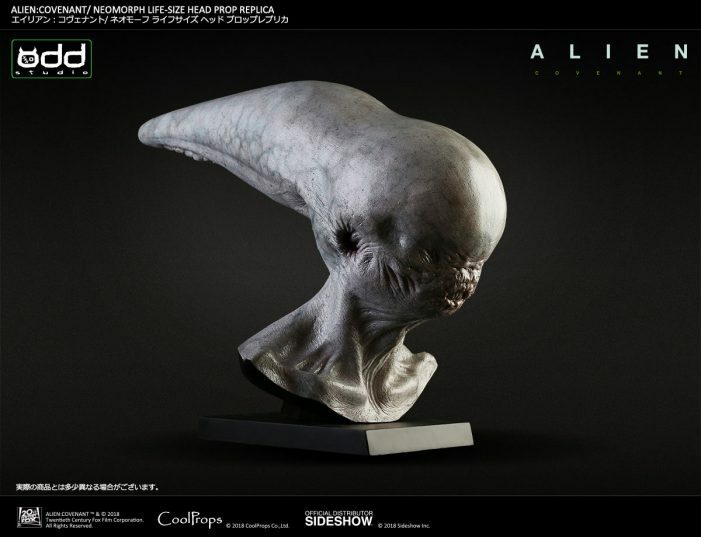 CoolProps has created a replica of this creature’s head in life-size with the cooperation of Odd studio, who produced the original prop for the film. The prototype for the replica was sculpted by Odd Studio’s Adam Johansen and painted by Damian Martin. Odd Studio has previously posted pictures of Adam at work on the sculpture over on their Facebook page. Go check them out! So that's what happens when a sneeze backfires? Not the painfully generic, unimaginative failure of creature design ghat is the Neomorph, hell no, but an amazingly detailed likeness nonetheless. 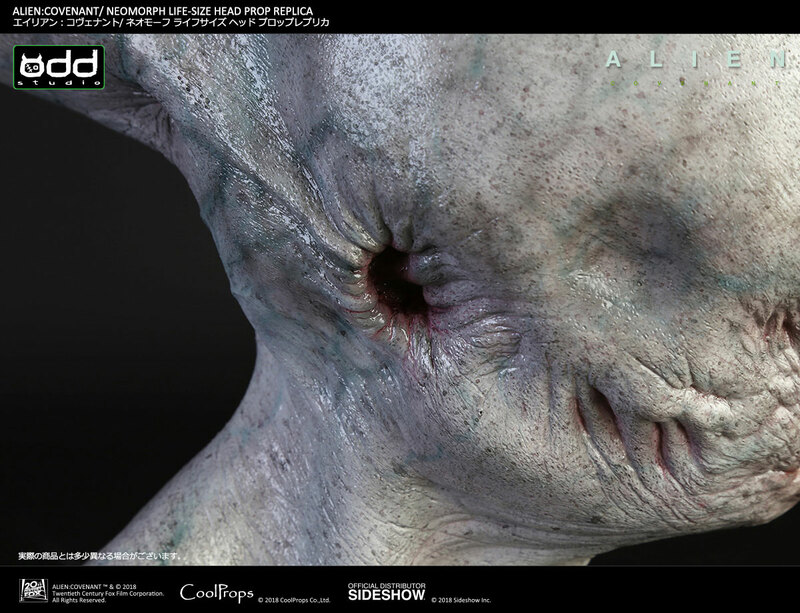 Carlos Huante's Neomorph/film Neomorph > Practical Neomorph.